2018 was a little disappointing for Xbox fans, so we’re hoping that 2019 proves to be a lot better. Over the next couple of weeks, we’re going to be highlighting a different game each day, giving you all the relevant details and salient talking points for big games of the year. With so many upcoming titles we’ve decided to do this in order of release date. Today we shall be discussing a surprise release to many, Battletoads 2019. Battletoads 2019 is either a remake or a sequel of the infamously difficult SNES game. There’s not much we know about the game yet. It was first announced at E3 2018, and since then we’ve heard nothing. All we know so far is that it will feature three player local co-operative gameplay and hand-drawn animations. The trailer also claims that it will feature “body morphing genre mash-ups”. As opposed to the original Battletoads and the arcade game, the game is instead being handled by DLaLa Studios. Their website proudly displays the Battletoads trailer at the top of the ‘Games’ page, showing their faith and excitement being equal to our own. DLaLa Studios haven’t worked on a game with such a legacy as Battletoads before, and arguably this will be their most challenging game yet. We can assume that this will be a huge success for the company and a chance for them to spread their wings. DLaLa Studios’ recent hits Overruled! and Janksy prove that they are capable of creating enjoyable, multiplayer experiences for family and friends. They are a young company with plenty of potential to burst onto the scene with a game with such a legacy as Battletoads. It’s not sensible to be wholly optimistic, however. 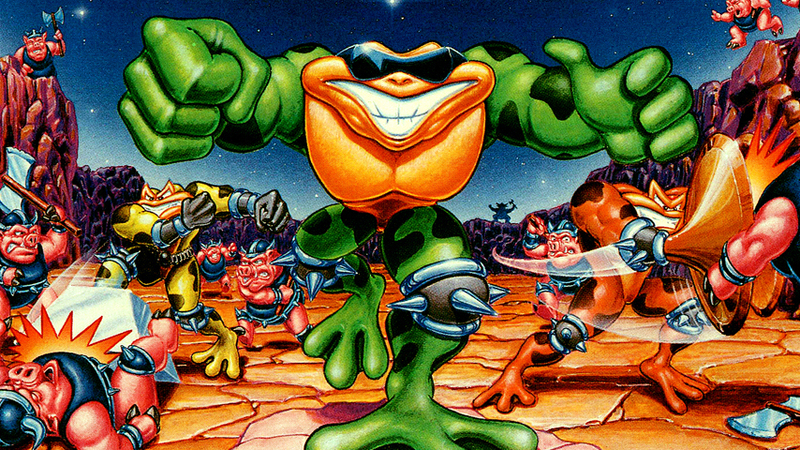 While DLaLa Studios’ games are creative and enjoyable, they do not hold the legacy of Battletoads. DLaLa Studios’ game Overruled! hasn’t reached a score greater than 38 on Metacritic for the Xbox version, and a 50 for the PlayStation version. They also hold a limited games library, their greatest success comes from the as-yet-unreleased Nothing to Fear. In comparison to their other games Nothing to Fear has double the amount of positive reviews as their previous two games. That’s what we think about Battletoads 2019. Are you a fan of the Battletoads series? Are you looking forward to racing along corridors and crashing into walls at high speeds? Leave a comment below to discuss your opinions. Also be on the lookout for more coverage throughout the month regarding the games that will launch on Xbox One during 2019.